If the Earth were the size of Jupiter, would the night sky look different? If you took the Earth, and expanded it until it matched the size of Jupiter (which would expand the radius of our planet to 11 times its original size), but without changing how fast the Earth rotates around the Sun, or the length of our day, or the angle at which our planet rotates, and you were still on the same latitude of our super-Earth, the night sky you see should be the same. We see a fixed number of stars at night because there is, at best, only 180 degrees of sky to look at. As we stand on the surface of our planet, on average we have 180 degrees that falls below our feet, and 180 degrees of sky, with the ground appearing pretty much flat (excluding small bumps like mountains). The ground of our planet appears flat to us because the curve of the earth is so gentle. So our 180 degrees of sky is what falls above our local flat surface. As the Earth turns, our own piece of surface points towards different stars in the sky, which causes some stars to rise and others to set in our sky. As you move north or south on the planet, the position of the stars shifts in the sky, again because you’re pointed at a different patch of the stars. Most notably (in the northern hemisphere), the North Star will appear higher or lower in the sky as you move north or south respectively. If you moved from the North Pole to the South Pole, the stars you would see would be entirely different, as you’d have no overlap between the 180 degrees of sky you’re pointed towards at the North Pole, and the 180 degrees of sky you’re pointed towards at the South Pole. If we expanded the Earth into a Jupiter-sized super-Earth, this effect would be exactly the same. The surface you stand on would still locally look flat, meaning that you still have 180 degrees of sky and 180 degrees of ground under your feet. However, the number of miles you would have to travel in order to notice that (for instance) the position of the North Star had changed would increase dramatically. The only way you’d be able to see more stars at night by changing the size of the planet would be to shrink the planet so far that the planet was no longer locally flat. If you were able to see the curve of your planet dropping away from you, as though you were on top of a planet-sized mountain, you would have more than 180 degrees of sky. This extra sky would let you see more stars at one time without moving. 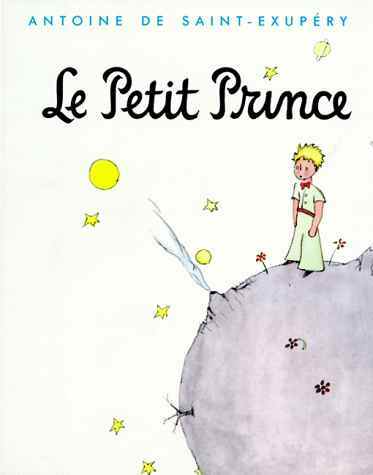 The Little Prince’s planet, as illustrated at the top, would qualify. He stands atop a very small planet, and his horizon is effectively a circle underneath his feet. He would be able to see stars up, horizontally, and at an angle down beyond his feet. He’d also be able to change his night sky very quickly, just by taking a few steps sideways. Something here unclear? Have your own question? Feel free to ask! Or submit your questions via the sidebar, Facebook, twitter, or Google+.